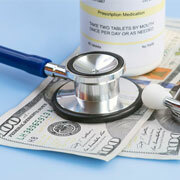 Time to Take Another Look at High-Deductible Health Plans? Enrollment in high-deductible health plans (HDHPs) could gain traction soon, as employers begin to focus on a very attractive feature: These plans have a demonstrated ability to control costs. Also, there is a growing urgency among employers to avoid exposure to the Affordable Care Act’s “Cadillac tax,” which is scheduled to take effect in 2018. These factors may cause some employers to rev up promotion of HDHPs as a viable option for their employees. Here’s a look at where things stand. As the name indicates, the central feature of an HDHP is the high deductible. For 2015, a “high” deductible is defined by the IRS as having an annual deductible of at least $1,300 for single coverage, and $2,600 for family coverage, with respective maximum out-of-pocket limits of $6,450 and $12,900. These figures apply to standard HDHPs, which means they are accompanied by either a health savings account (HSA) or a health reimbursement account (HRA). A number of studies have shown that HDHPs have grown in popularity in recent years. For example between 2010 and 2014 the number of employers offering these plans grew 144%. The $1,300 minimum deductible wouldn’t require a radical change for small employers — that is, those with fewer than 200 employees — because nearly two-thirds of them already had single-coverage deductibles of at least $1,000 last year. And 41% of larger firms also fell into the same category (that is, level of deductible), according to statistics provided by the Kaiser Family Foundation. Are Health Care Consumers More Discerning these Days? The theory behind these accounts has been that higher deductibles will cause employees to become smarter health care consumers. Also, by adding an HSA as part of the package, employees have a financial cushion. Alternatively, they can allow HSA dollars to accumulate for future tax-free expenditures on approved health care services, including expenses incurred in retirement. Are employees who are covered by high-deductible plans actually becoming savvier as health care consumers? That’s tough to assess. Indeed, critics of the HDHP concept speculate that when faced with a high deductible, many employees will simply put off seeking medical attention until a health problem reaches crisis proportions. In any case, recent research shows that these plans are generally less costly than other plans. As the accompanying table indicates, employer and employee costs for HDHPs were, on average, below those of the other health plan categories: 8.5% lower for family coverage and 12% lower for single coverage. When compared to a preferred provider organization, the average cost for an employee in an HDHP is about $350 lower, according to an Aetna study of 2.2 million plan participants. Similarly, a Cigna study concluded that average HDHP costs came in 12% below the statistical average. Averages, of course, are just that — some HDHPs undoubtedly don’t show such savings. Still, the numbers suggest that the plan design is worthy of consideration. Most employers willing to give the HDHP design a shot don’t go cold turkey by offering only this plan. Some ease into it. A 2014 study by America’s Health Insurance Plans Center for Policy and Research showed that among employers who already offered high-deductible plans as one option, about one-third had decided to make an HDHP their exclusive plan for 2015. Small employers may not have the luxury of offering multiple plans. So for them, switching to the HDHP model may involve a leap of faith. As part of the planning process, employers who take that leap need to decide whether they will contribute to the accompanying account, which again, is either an HSA or HRA. Few employers are choosing HRAs, because most consider these accounts to violate the spirit of the consumer-empowering HDHP. Actually an HRA is not a true account, but more of an accounting device, which involves the employer giving a dollar amount of credit to employees. Employees can use the credit to offset some health expenses, as well as a portion of their contribution to health plan premiums. HRA funds can accumulate, but do not pay interest. Unlike health reimbursement accounts, HSAs are true accounts and are owned by employees. The maximum that can go into an HSA in 2015 (combining employee savings and employer contributions, if any) is $3,350 for single coverage and $6,550 for family plans. The Employee Benefit Research Institute reported that last year about two-thirds of employees in high-deductible plans received employer contributions to their accounts. Among small companies, the average employer contribution levels are greater, possibly because the deductibles tend to be higher than they are for larger employers. However, overall employer contributions seem to be on the decline. In 2014, these contributions dropped an average of 10% below the previous year, possibly as HDHP sponsors seek to offset rising premiums. Whether a high-deductible health plan would be beneficial to your organization requires an analysis of multiple factors, including current plan design, employee demographics and competitor offerings. HDHPs are not new. But because these plans have a track record of controlling expenditures — in a health care environment of rising costs — it’s likely that many more employers will be giving them closer scrutiny in the future. Consult with your employee benefits adviser to help determine if HDHPs are right for your company. « Turning 65 isn’t for the Uninformed!